"Reese Witherspoon, resident ray of sunshine, wrote a book that's as charming as she is. 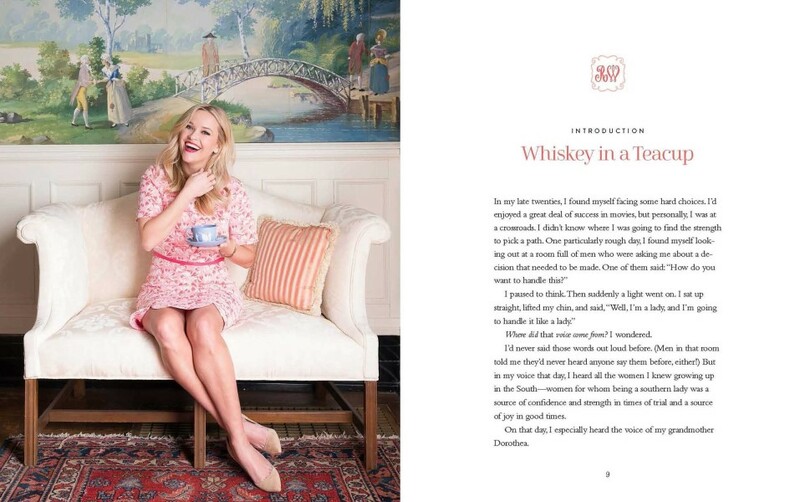 In Whiskey in a Teacup she shares everything from how she does her hair to her grandmother Dorothea's best recipes. 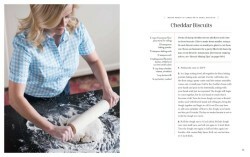 If you love Reese, you'll love her book." "It is hard not to respond to actor-producer-writer-entrepreneur Witherspoon's southern cooking and lifestyle guide, presented with warmth and no small amount of wit. 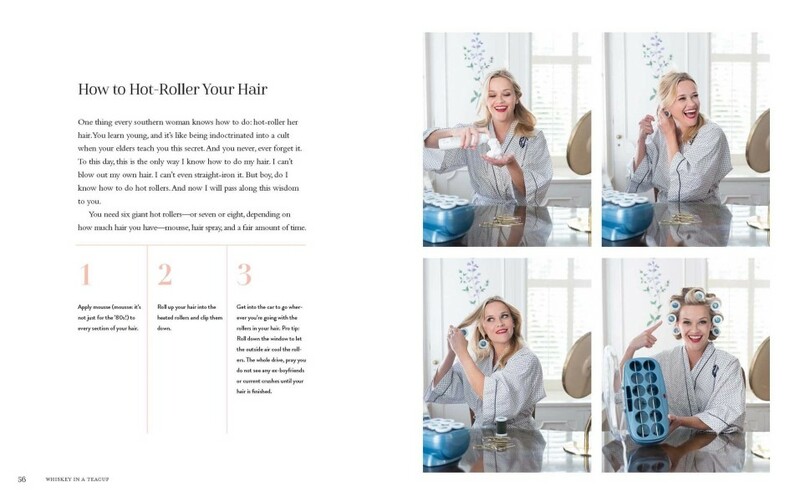 Many features attract, such as sidebars on everything from valuable tips for hosting to the specifics of hot-rolling hair. Nearly 50 recipes and 8-plus menus will suit almost any celebration, gathering, and occasion... Connecting it all is Witherspoon's very hospitable narrative, sharing stories of growing up, family, and traditions that many will relate to." Reading this was like having a chat with a friend. Informative and easy to read. Beautifully laid out with lovely pictures and recipes. Reese is witty, intelligent, and honest. Her writing is funny and informative, with grwat stories, recipes, and tips. Next Martha Stewart? !